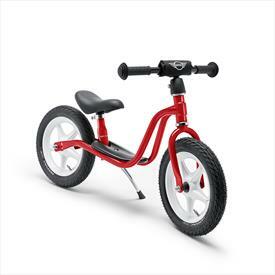 The ideal training bike to prepare for the real thing, this balance bike is designed for kids over 3 years old or 90cm tall. It has a low step through and platform, an adjustable saddle as well as an adjustable and gripped handlebar to allow comfortable and safe riding. 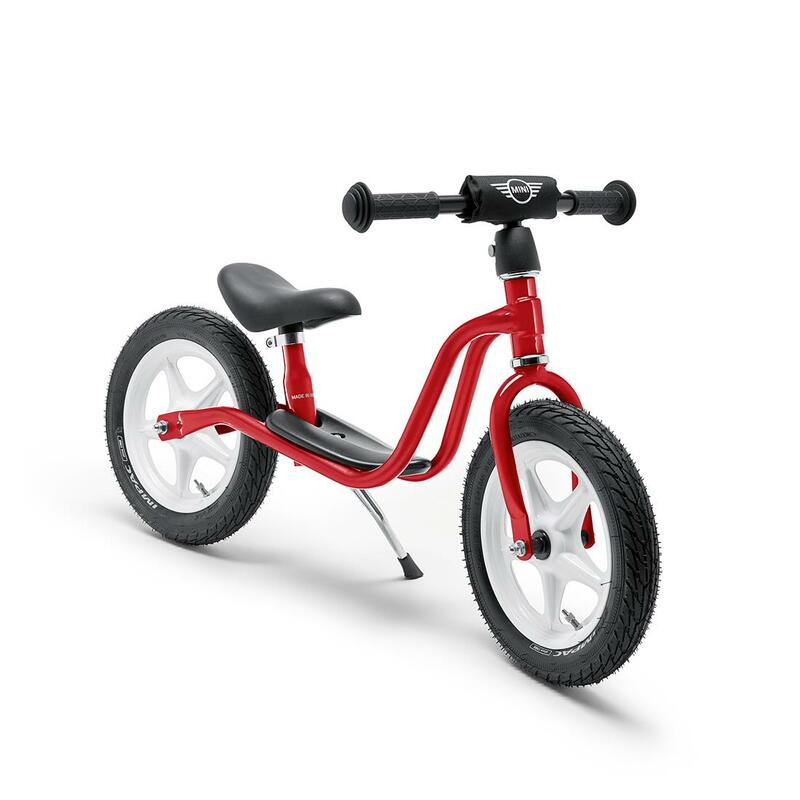 The solid steel frame is in Chili Red and the Black handlebar has a MINI Signet pattern, and together with the White MINI Wing Logo on the crash pad and the White rims they emphasize the unique MINI design.